This attractive Cucciolo was last used a year ago. It is the rarer Italian version rather than the model made under license in France. 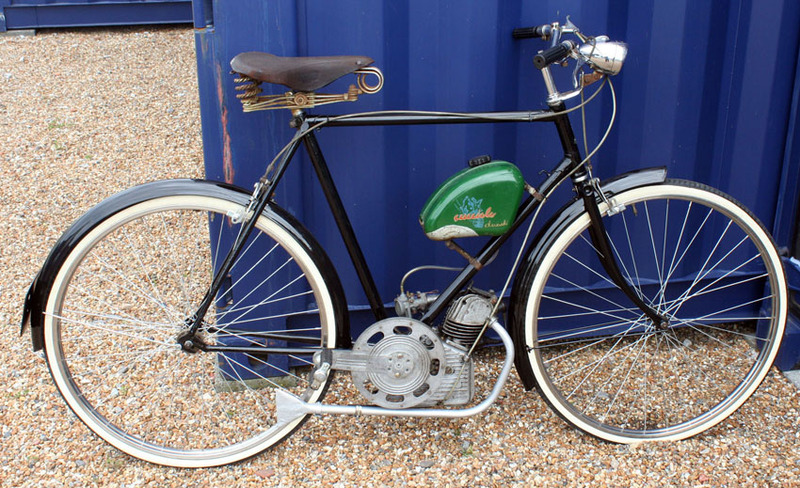 It will shortly be fitted with its 2-speed gear change mechanism and fully serviced, and will be sold in running order.